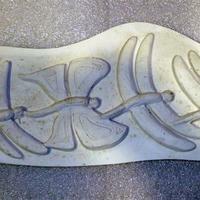 Small plaster section with dragonflies and butterflies. Plaster relief. 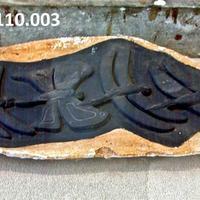 Written on rear of relief is "motion in nature dragon fly". Rubber mold with plaster mother mold. This is a detail from Motion in Nature of the dragonflies.